Quizzes › Education › Career › Architecture › Building › House › Which Msw House Do You Belong In? 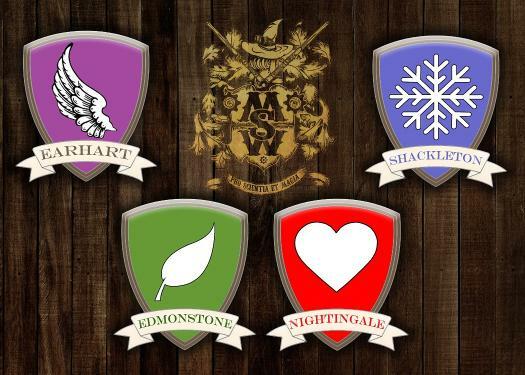 Which Msw House Do You Belong In? Four goblets are placed in front of you, which one will you drink? A golden potion that gives off a fiercely bright flame- like, warming glow that dances around the room, burning brighter and brighter. A silvery, glittery potion that sparkles as it contains ground stars that shoot around the room. A thick, earthy, sumptuous potion that smells of plums and chocolate. A dark, inky potion that has pungent but not unpleasant fumes that make you see strange visions to inspire you. Which magical creature would be your spirit animal/ patronus? 11 inch Yew with Dragon Heart string core. 12 inch Oak with Merfolk scale core. A tree with silver leaves and golden fruit, shining like the sun. A ring of red toadstools big enough to sit on and rest and take in all the forest around you. A shimmering pool with oil slick colours that appears to have a whirlpool in the centre. A Luscious tree with boughs low enough to sit on that is full of bountiful apples that are rosy red and plump. Which house are you most drawn to? Which Hfk House Do You Belong To? Which House Should I Live In?